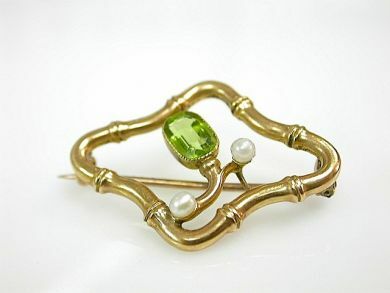 One Victorian 14 karat yellow gold brooch. One peridot (0.96 carats). Two freshwater pearls.